Thea Sharrock has arrived in Hollywood as first time director in a rare position, making her debut in features with the film adaption of the popular novel Me Before You . 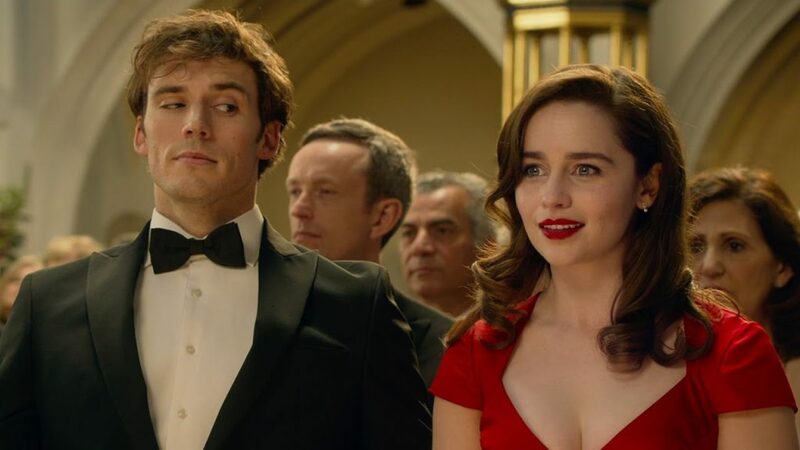 Based on the best-selling novel by Jojo Moyes (who adapted her own book), the film stars Emilia Clarke and Sam Claflin in a story about young woman employed as a caregiver to a young man living as a quadriplegic for the past two years. 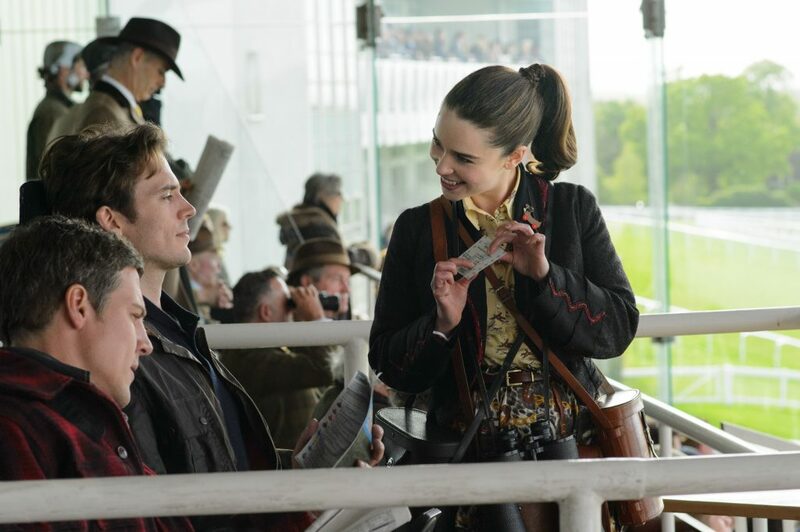 The film costars an impressive cast of English character actors including Jenna Coleman, Matthew Lewis, Brendan Coyle, Janet McTeer and Charles Dance. Like Dance and McTeer, Sharrock’s roots are deep in theater, where she’s built her reputation as a visionary director. By 24 she’d been made the youngest artistic director in British theater working at London’s Southwark Playhouse for three years. She parlayed that into directing highly praised productions of Equus (with Daniel Radcliffe and Richard Griffith), After the Dance (with Benedict Cumberbatch), and The Misanthrope (with Keira Knightly and Damian Lewis). She then move to on camera productions including Henry V for BBC’s The Hollow Crown (starring Tom Hiddleston) and episodes of the acclaimed series Call the Midwife. Speaking with Thea after hours of press for her first feature film, her relaxed nature suggests she’s more than ready to take on Hollywood. Were you looking for film projects as a next step in your career? That production of Henry V is great, but on the surface at least, this film seem completely different. What was it about the script that initially resonated with you on a personal level and made you want to commit to directing it? The connection that came from me was the emotionality of it. I want to tell stories about people you can recognize, whether you know them or not. I just really want to tell stories that feel authentic and real, and that’s true of both Henry V and this film. But with this script, when my agent rang, it was the middle of December, close to Christmas, and she said “I don’t know if you even want to read another script right now. I know it’s a busy time. But this script just feels different and I think it will be one you respond to.” And realized only later that a lot of the scripts I had been reading were from America. And this script is set in England and by an English writer, so I just felt such an affinity for the characters and class system intertwined within the story. And the setting. I could see the small town with the castle very easily in my mind. And all the supporting characters felt familiar, the parents and her sister. And it made me laugh and cry. I responded immediately. What is it about the story and characters that made it feel like it should be an unabashedly British tale? It was interesting because being a studio movie, we talked about if it could be set in another country, could it be set in America, so we could hire American actors? And it was always clear to me that we couldn’t set it in America because the story is inherently English, because so much of it’s about the very deeply buried roots of our class system. We still have that in a way that other countries simply don’t. And whether to do with your voice and your accent, or the school you went to, what size your house is, we make judgments about people based on this very old-fashioned system. And it’s at the root of who Lou and Will are when we first meet them. The fact that they grew up so close together but never knew each other and should never have met, is integral to the story. And then we watch their relationship blossoming as they get to know each other and find they like each other is made all the better because its unexpected that their paths would even cross. Their natural spark comes from both of them being completely confident about who they are, within their specific class, which felt innately British. And emotionally we’re quite withheld as a nation, so how Will and his family deals with their pain internally resonates more so because they are British. 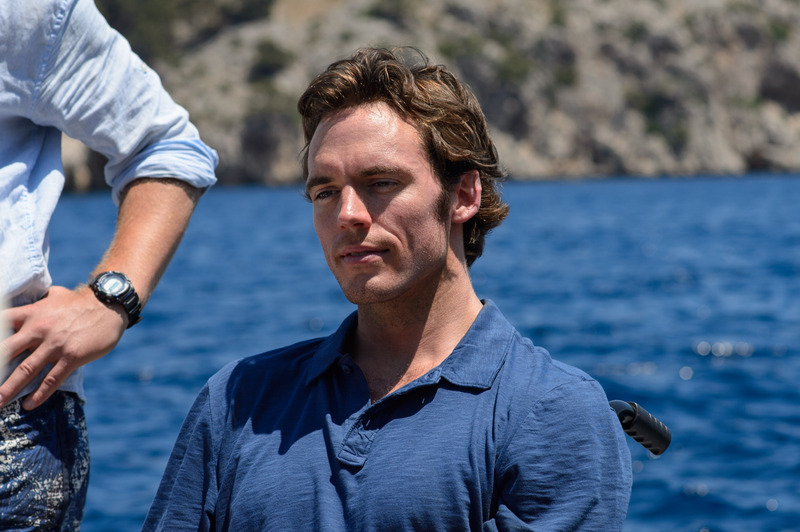 I actually wanted to ask about the internal elements of Sam’s performance, because I thought he did an excellent job playing the kind of character who’s always holding things just under the surface, but still managed to project Will’s feelings and motivations to the audience. When you were casting his character, what was it about Sam’s performance and interpretation of Will that made you think he was right for the character? He came in with that emotional connection to the character. He was very clear and outspoken when we first met that if this had been him, he would have made the same choice Will made. So there was clearly an affinity he felt with this character. He didn’t struggle at all with who he was or why he was doing what he was doing, he understood why he was going to do what he was going to do. So all those things made him very appealing to me for the part. And Sam is also very, very funny. He has a great sense of humor. He’s a joker and pleasure to be around. And it’s so important that when Lou first meets him, we understand that he’s gone into a very difficult, dark place. He seems impenetrable, you just can’t get in there. But it was more important that I had an actor who could get to the place Will’s ultimately at by the end of the film. Someone who wouldn’t be afraid to open up and go to that emotional place. That was one of the things that really attracted me to Sam. I felt instinctively he had all of that, so I knew he’d get to where he needed to at the end. What we had to work on was closing him up, hardening him. But it would have been much harder to do it the other way. If an actor’s naturally very hard, but not naturally giving and open, I don’t know if they could have gotten to the end of the journey. That’s its interesting because even watching, it felt like his scenes towards the end were more exposing and raw, even though by that time he’s showing that warmer side of himself to Emilia’s character. I agree, and I think the way Sam portrayed the character towards the end of the film, and goes to those places, is a huge testament to the trust and respect Sam and Emilia had for one another. They allowed each other to go to those places without casting any judgment on each other. How did Emilia come to your attention? Casting Lou was tough, because she has a quality that’s different from anyone else I can remember seeing on screen, at least in a long time. There’s a freshness and innocence to her, and she never wants to do something at anyone’s expense, which could be really twee if you go too far. She has to be adorable, but not a dork or a child. So we met so many women for this part. Hundreds of girls in auditions and on tape. And Emilia was literally the last person I met. We Skyped early on but because of her schedule on Game of Thrones, she wouldn’t be available to come in until the day of her chemistry read. So she came in early to read by herself before the chemistry read. She came right from the airport and when she took off her coat, she knocked over her water on the table, and I just thought “wow, that’s her.” Suddenly a very intense and long process felt very easy. And then when we put those two together for the chemistry read, you could just see the ease between them the very first time we saw them together. They’d met before, but didn’t really know each other. But they immediately had real trust and respect with one another as they prepared for each scene, but there was also a warmth and ease that was nice just to witness and be a part of? I understand the three of you worked together over several months before filming? We weren’t rehearsing all that time, but as often as our schedule allowed we would meet. So that might just mean coming over to my house for dinner one night. But it was just about being together, and talking about the characters and film…or not talking about that. They were cast in the summer, around August, and we started shooting the following April. We started prep in January, and I had scheduled rehearsal time that I wouldn’t let anyone take away from me. Even the costume department could steal Emilia to try on her costumes. What do you think you were able to accomplish during those meetings and rehearsals lead up to actually filming? Working in theater, the most important part of the process is the rehearsal. Because if you set the room up in the right way, you allow everyone the right to fail. Which sounds easy, but it’s not. It’s not easy to get up in front of a lot of people and do something really, really badly and then recover. But if you can recover and say “now we know, don’t do it that way” and know you’re still safe and everyone’s still on your side, you grow in strength. And when you establish that during rehearsals, it makes people want to try and go even further. And that’s what I try to nourish in actors. So all the times I’d meet with Sam and Emilia, for dinner or rehearsals, they were building that confidence. So when we got to the set, it didn’t matter how many people were around them. They knew these characters completely and were already on that journey together…at all times. So we could just refer to where their characters were in the story and tap into what they’d established in rehearsals. And we did that whole process together and it really paid off. The visual approach to the film is unapologetically bright and cheerful. You use a lot of natural sunlight and have a strong color palette. And that is somewhat unexpected considering the serious subject matter and I imagine another director might have taken a very different visual approach. Why did you want to express cinematically by setting that kind of visual style? To me, the film is an uplifting love story and I am unapologetic about that. Whatever emotional journey you go on while watching, I want people to leave the theater feeling uplifted. I also feel there is a fantastic simplicity to the story, a traditional simplicity because in a way, it’s just a love story. So it was important that we gave it the air to breathe the story needs. And at first we had to start things off in a slightly claustrophobic world. The scenes towards the beginning in Lou’s house and the Annex, the air had to feel slightly compressed. And then gradually they head into the garden, and venture away from the house, and finally they take a trip to what is essentially paradise. But all that leads to the final scenes in Paris when Lou, and the audience just want to take a big, deep breathe. And I took the same approach with the quality of light. At first there’s almost a greyness to it, but by the end the world would feel bright and open. To highlight the journey Lou has gone on, from feeling comfortable in her surroundings which is actually a rather small world to by the end, she’s ready to take on everything the world has in store for her. There is also a fairytale quality to it. There is a castle in the middle of this town. And it was crucial we got the look of that castle right and found one in the right town. And I never wanted to lose track of that fairytale aspect. I wanted it also to look accessible to audiences and feel like it was a pleasure to watch this movie, to counter balance and allow space to really take on board the serious stuff in the story. If the film had been visually very dark, you would feel very differently about it, a kind of weight, which I didn’t want. I didn’t want this movie to in anyway feel like it judges Will’s decision to be right or wrong. I simply wanted to put it onto the table so if people want to discuss it, they can. Because it is a very, very important and a big topic that is growing. It’s fascinating which states are allowing euthanasia in America. And I imagine that visual tone you set also extends to you decision to use as much humor in the film? Absolutely, you have to get the balance just right, because that ultimately is what allows for the tears. I know Jojo has been telling audiences she hopes people cry during the movie. She’s funny about that, she has percentages and pie charts about who cries and when. I don’t do any of that stuff. But it’s such an interesting comment because we all have things which can make us cry, and I know I have a few books and films in my arsenal I keep around when the mood strikes. But why do you think people embrace and put themselves through that kind of experience at movies? Well, it’s a cathartic and therapeutic experience. But I have a theory that in 2016 we spend a lot of time on our own. We are kind of cornered by these phones and feel the constant need to check in. And while 90% of what we’re checking pertains to other people, they aren’t checking in they way we are right now, in a room and just talking, but on our own using these phones. And we are also all incredibly busy. There’s almost competition about who’s the most stressed and the busiest. Which is kind of crazy. And I didn’t realize it at the time, but subconsciously, I wanted to make a film that gave people a bit of space and a bit of time to just allow themselves to feel emotion, in a way we seem to rob ourselves of in our daily life. Oddly, I really do only turn my cell off completely for a few hours and don’t even want to think about what I’m missing when I’m in a movie theater. Because you want to let the movie wash over you. Right, and feel completely immersed in someone else’s life and feel what they’re feeling. And then, if you do all that with other people, in a big crowded theater, it’s also a shared experience. Which is such a fantastic, unique thing in our modern world. Do you have favorite love stories that inspired you while making this film? The only one I went back to watch, because I felt the parallels were obvious, was Love Story. But otherwise, I slightly avoided them because I didn’t want to get pulled into comparing my choices and changing my instincts based on someone else’s choices on other films. I really felt like I understood this story, who the characters were in the story, and why I want to tell it. And I wanted to tell it my way. Previous ArticleAlbum Review: Fifth Harmony - "7/27"